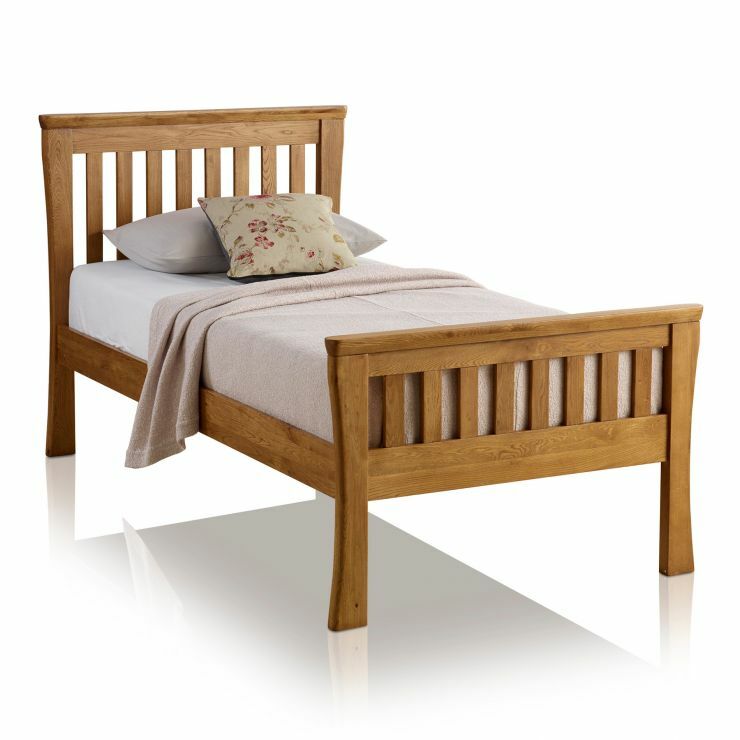 The Orrick Rustic Solid Oak Single Bed is a delightful option for a child's or guest bedroom. 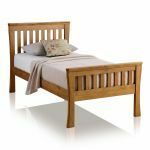 Made from premium grade solid oak it features a traditional slatted design enhanced with a handcrafted, rustic styling. 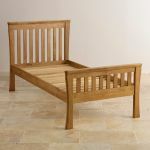 For a wonderfully sculpted effect, the legs are chamfered by hand and the corners softly rounded. The natural beauty of the solid oak is encouraged to take centre stage; finished only with a nourishing layer of our specially-formulated clear wax polish. 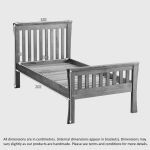 If you choose to invest in this effortlessly stylish single bed, don't forget we also sell a huge range of quality mattresses for the ultimate pairing of style and comfort. 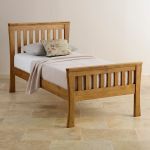 Also, why not check out the rest of the Orrick Rustic Solid Oak range to discover matching pieces for every room in the home?